We work with employers across the country on saving them tax dollars on ACA wellness programs that are just coming into light. We all remember the famous US Representative Nancy Pelosi quote of “we have to pass it, to see what’s in it” when it comes to the Affordable Care Act or as some call it Obamacare. The law is approximately 16,000 pages, so clearly “there is a lot in it”. A big section of ACA deals with wellness programs. I find most employers as well as insurance agents and benefits brokers get confused when explaining the two different types of ACA wellness programs, results vs. participatory. Let’s look at both. I am not an ERISA attorney or even an ACA Obamacare expert, but I can explain the program differences in layman’s terms. There are two types of ACA wellness programs in the law, results vs. participatory. Let’s start with the first one, results based. A results based wellness program is by far the most commonly used ACA wellness program. The majority of health insurance companies use results based as well as most corporations. The results based needs an employee to receive a physical examination. The program needs measurement markers such as height, weight, blood pressure, blood and urine. These markers are recorded before the employee begins the wellness program. Because of HIPAA privacy laws an employer cannot ask nor follow the employee’s participation in the wellness program. Without technology to track these employees anonymously, it is just a guess as to which employees are making an effort towards improving their health and well-being. Then one year later the employee must have another physical examination to compare results. Of all the posted results we have seen, it is nowhere near a success. Most employees will continue bad habits such as smoking, overeating, not exercising and drinking alcohol. A participatory based wellness program does not require any physical examination. 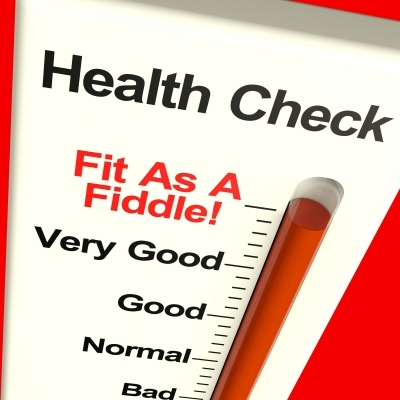 It only requires a confidential health risk assessment for the employee to answer questions. Then the minimum participation is to read specific articles based on the person’s individual health concerns. Technology is used to track this monthly trigger anonymously meeting HIPAA privacy standards and keep the employer informed of actually participation numbers. It is the belief of congress education is more effective than comparing measurements. Slowly the employee begins to change habits after being educated on the physical effects of their bad habits and change begins to happen. Both ACA wellness programs can contain the same benefits such as Bio Metric screening, DNA testing, wellness coaching, fitness, nutrition, etc. The results vs. participatory has to do with implementation of an ACA wellness program than what benefits it contains. The participatory seems to have better tax savings for the employer and the employee because of tracking capabilities. Before comparing your new ACA wellness program this year, be sure to understand the different types of plans and which will work best for your company. Tim Wilhoit is owner/principal of Your Friend 4 Life Insurance Agency in Nashville, TN. He is a family man, father of 3, grandfather of 1, entrepreneur, insurance agent, life insurance broker, employee benefit specialist, salesman, sales trainer, recruiter, public speaker, blogger, author and team leader with over 29 years of experience in sales and marketing in the insurance and beverage industries. Great article Tim! Thanks for sharing this information. This is the first time I understood the difference. Thank you! HII, CAN U HELP ME ? Please suggest me about UK MD register Dr. for LIC medical requirement . if you know very well. thanks. Yogini, I am sorry, I am not familiar with your question.